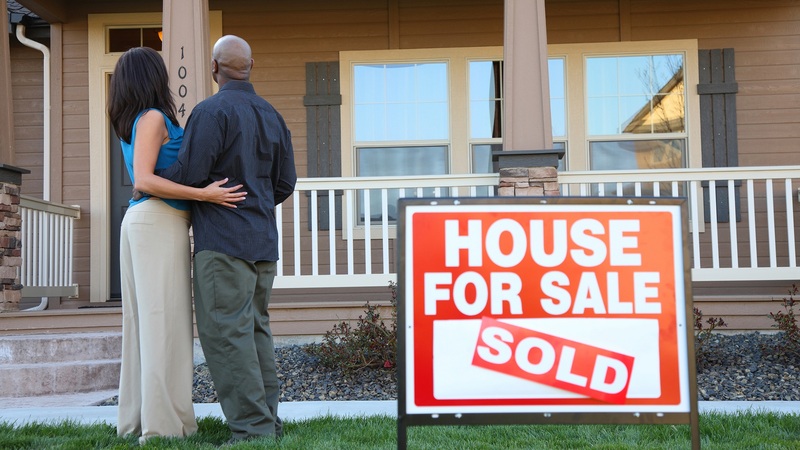 Have you ever bought a house and then regretted it? It’s called buyer’s remorse and it’s as universal as the common cold. So you went through all the steps: you did your research, you looked at model homes, you investigated neighborhoods and school districts, you made an offer, and now you’re a homeowner! Research shows that 74 percent of first-time buyers say they like their new home better than their previous residence, and 67 percent of repeat buyers like theirs better. You should be happy … so why do you feel like driving off a cliff ala Thelma and Louise? Are you worried you paid too much so you keep looking at homes for sale on the web? Was the inspection really done right are there hidden issues that will pop up unexpectedly? Is this really the house you wanted? How will you ever make those mortgage payments? How can you get out of it? And anyway, you legally have three days after closing to change your mind and cancel the contract. Right? Wrong! No such law exists. If you’ve settled, funded and recorded the only way out is to sell. But if you haven’t closed yet you may have some options, although they will likely cost you. The only way you can cancel the contract is to follow the dictates of the Real Estate Purchase Contract. The REPC, which we lovingly call it, gives the buyer several outs. Be careful here; you could lose your earnest money. The buyer is given a time period to get his inspections done and perform all the tasks that are in the Due Diligence Disclosure. For example, he can get out if the inspection turns up issues he doesn’t want to deal with, which is the most commonly used exit. The inspection is also another way to shave the price rather than have the seller fix things. But that’s only one issue in the Due Diligence list of 18 items. A buyer can also cancel for failure to qualify for mortgage financing after a diligent and good-faith effort, or if the appraisal comes in below the offer price. In the latter case the buyer can either walk or have the agent negotiate a lower price based on the appraisal. I’ve had buyers and sellers split the difference a couple of times. • May cost less than buying, but not always. The way rents have risen lately it may be cheaper to buy. • May be easier to move. • Little responsibility for maintenance. • No responsibility for repairs . • No investment income or equity buildup from the property. • Rent can increase frequently. • Usually a good investment. • First home often leads to better home. • Greater individuality in décor and space arrangement. • Greater sense of security. • Often fulfills the American dream. • Responsibility for property taxes. • Responsibility for maintenance and repairs. • Possibility of foreclosure, which can cost you your equity. • Monthly housing may costs more. • Ties up your cash. • Takes time to see and move on — less mobility. • Payment may increase as taxes and adjustable rates change. Once you have your list calculate the costs of buying a home, including the down payment and closing costs and the holding costs — monthly payment, taxes, insurance and other homeowner expenses. Then sit back and decided if this is for you. So if you move forward and buyer’s remorse hits, remind yourself why you wanted to buy a house in the first place. Now pop open that sparkling apple cider and congratulate yourself. Rodger L. Hardy is a Realtor® licensed in Utah. He can be reached at 801-360-9133 or rhardy@cbzhomes.com. Please visit RodgerHardy.com.